Autumn Sunrise, Hope Valley. Fall Photo by large format landscape photographer Jon Paul. 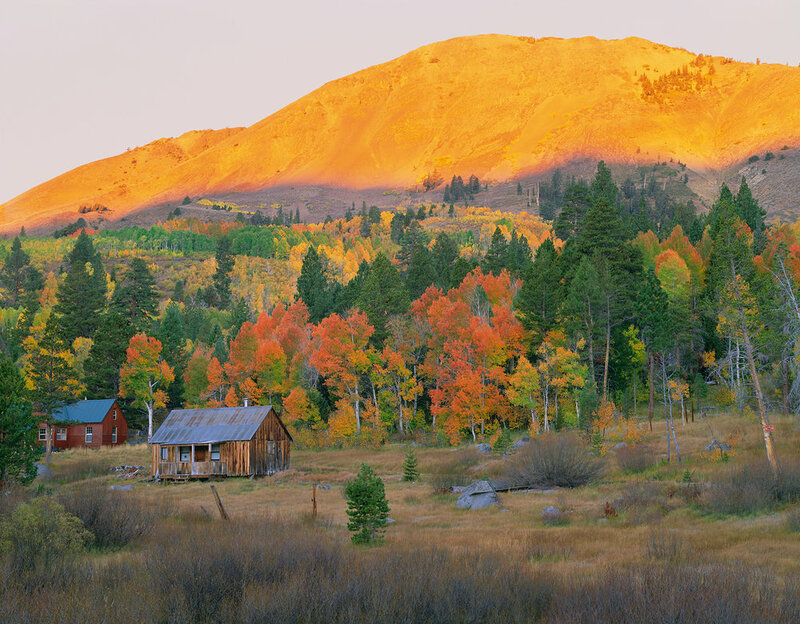 This location, in Hope Valley just south of South Lake Tahoe on Highway 88, is one of the most visited Northern California locations by Fall leaf peepers. I think it is obvious why. For me, I live about 15 minutes from this spot. I have found that this composition is quite unique in that I included the mountain top bathed in the first light of morning. This is not an easy exposure to capture, but I think it adds a sense of scale and context that makes this a California fall color image. When printed very large, you feel as though you can walk right into the scene.